De-offshoring by Ukraine: bees against honey ⋆ News ⋆ Official website for Oleksandr Klymenko. After the offshore scandal around Poroshenko, the notion “offshore” has become extremely popular. Nowadays, it is the main topic of discussions on the benches. It has crowded out everlasting the issues such as “why do young people wear this” and pension. At the same time, we should not deny that fact that the majority of Ukrainians do not understand what the offshores are and how exactly to withdraw money. However, they feel that it comes about injustice. It is about inequity and fights of rich and poor people. The offshores of the Presidential corporation «Roshen» is only the tip of the iceberg. It does not matter is it legally registered or not. The most important thing is that even the President is not sure that Ukraine will be safe. He is afraid of the system, which he leads. In fact, the whole structure of Ukrainian economy is a mirror of discrimination on material grounds. Due to offshore schemes oligarchs can pay less taxes (in percentage proportion) than small-sized entrepreneur or employer, for instance. They actively use this possibility. Even today, when the country needs each ducat. Some numbers. By January 1, 2016 Cyprus ($ 11.7 billion) and the Netherlands ($ 5.6 billion) became the largest investors into Ukrainian economy. It is obvious that it is not foreign money. It comes about the assets, which were previously derived. These two figures provide general understanding on scale of the withdrawal of funds. It comes about general understanding because one part of money is in accounts in foreign banks, the other part is invested into business projects in other states. 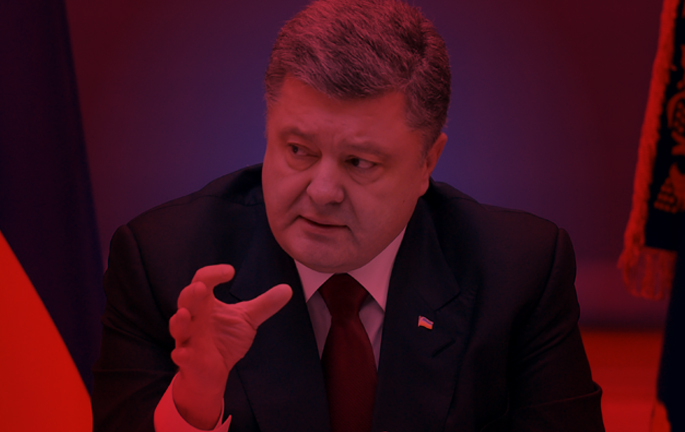 Why will «Plan of Poroshenko» not work? The President of Ukraine was caught on the heels of using offshore by his corporation. He promised to start a large-scale fight against the withdrawal of assets and tax evasion. He announced three specific steps. First: to accede to international conventions in order to provide Ukrainian authorities with the bills of Ukrainian oligarchs and corporations abroad. Second: to sign a Decree “On measures that make impossible the use of resident companies with offshore status to minimize tax liabilities and withdrawal of income” (there is no project of the Decree). Finally: Poroshenko promised to work out a bill on de-offshoring of national economy until June 1. Does the President really want to fight against tax evasion or just trying to “mix up” the subject of his business? Nowadays, it does not matter. However, even if he was seriously intended to solve this problem, the measures, which were announced, would not be effective. Here are a few reasons, why won’t his plan work. The first reason: those, who are the part of the problem, are not able to solve it. “In fact, it is a classic dilemma “bees against honey”. In order to fight against the offshore companies, it is necessary to find people, who do not hide their money there. Otherwise, any “struggle” will be an ordinary PR, which will not influence on the lives of ordinary citizens in any way – neither in the context of social justice, nor in terms of standards of living. The second reason: initially wrong paradigm. Let’s ask ourselves: why do business use offshore at all? The expression “off shore” means “beyond the shore”. It is assumed that the name describes the fact of Ancient Greece. When in Athens taxes on imports and exports of goods were raised, the ships began to unload the goods on islands near the port. After that the cargo was delivered to the mainland by boats at night. Since that time nothing has changed fundamentally. Offshore and other schemes and frauds – are business protests against unjust tax and regulatory policy. Entrepreneurs evade taxes, because full payment will make their enterprise unprofitable. In order to change situation, there is only one way: achievement of a compromise between government and entrepreneurs, who generate national GDP. In such case, the importance of public agreement is stressed by dangerous imbalance: only 2 million people – businessmen and their employees – generate national wealth. Each of them, respectively, should feed more than 20 dependents: children, pensioners, socially vulnerable categories of citizens and public officials. Increasing of tax burden and pressure on 2 million breadwinners mean failure. Money and labour will flow out of the country. Therefore, it is extremely important to ensure that the tax system in Ukraine reflects the interests of the GDP generators. It should protect their rights and create conditions for development (not make them exhausted). Building a policy on resistance and new restrictive measures for business (as well as Poroshenko acts) – is originally a vicious way. If it does not work, oligarchs will laugh at his weakness and still will not pay taxes. If it works, corporations will start a review of their strategies and will not return withdrawn money even as a fake foreign investment. They will invest all withdrawn money into other countries and transfer the point of profit there. The Law on transfer pricing, which was worked out by the Ministry of income and fees (I was a guide for it), and adopted in 2013 by the Verkhovna Rada, is absolutely different from the steps, which were planned by Petro Poroshenko. First of all, this Law was a compromise. It was really difficult compromise. After such experience, plethora workers of the Ministry would cope with negotiations for a peaceful settlement in Donbas. I believe they would do it better than current representatives of Ukraine in the Minsk Group. However, we understood the need for agreements. Nowadays, national legislation is always one step behind the financial instruments. Authorities react to challenges. However, the trends are formed outside the state borders. Global economic space provides plenty of opportunities to move capital to such places, where bureaucracy is absent, the taxes are lower, and the weather is better. Therefore, it is crucial to understand these trends in order to do everything not to allow business to use loopholes. If you block all the holes, the demand will form a new supply soon. Capital will run from unfriendly shores to friendly islands. The third reason: the program on struggling against offshore companies, which was suggested, puts everything on its head. Integration into the international mechanisms does not make sense, if the “homework” is not done. Accession to the Conventions without modification of the regulatory policy in the country – is a “visa-free” regime by Ukraine. Thus, there will be no direct refusal as well as full participation. What is necessary for it? First of all, we should create such a business climate that will make offshore partially or completely de trop. It comes not only about taxes. Yes, offshore companies are used to evade income tax. However, according to Ukrainian version, offshore companies are often used in order to protect property owner’s rights. Ukrainian registration makes companies vulnerable to raiding, while the transfer of assets to foreign company management minimizes such risks. If the plant with all the machines de jure is owned by Swiss or Dutch companies, it is much more difficult to “seize” it via one decision of a corrupt court. Accordingly, the protection of property owner’s rights reduces the interest in offshore companies. Clear rules of tax administration also make offshore companies unpopular. Second, we should use global mechanisms and standards in the right way. 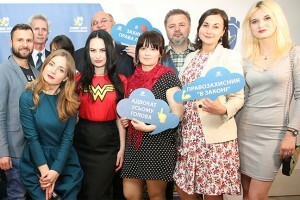 In Ukraine ordinary citizens and small business together with the medium one are discriminated. People without billions can not hide money in offshore. Exterior operations can be carried out only with a license in international trade. Ordinary citizens do not even allow to open accounts in foreign banks. In international practice leadership is usually being discriminated for the sake of public interests. Revenues and expenses of politicians, «PEPs» (politically exposed persons) are checked more strictly and carefully. Even the presumption of innocence does not apply to them. In case of large transaction, a politician is obliged to prove the legal source of funds. We have exactly opposite situation. The third step: we should join global initiatives without a stone in our bosom. In order to be successful, we have to implement standards and to play by the rules. Potty criminals should not be allowed to respectable places due to the fact that reputation of the institute suffers. Ukraine still has not acceded to the Standards for Automatic Exchange of Financial Account Information in Tax Matters, which were worked out by the OECD. Although there were negotiations on this issue in 2013. In particular, as a Minister I was negotiating concerning the accession of Ukraine to the Global Forum of transparency and exchange of information for tax purposes with the European Commissioner for Taxation and Customs Union, Audit and Anti-Fraud Algirdas Semeta. Why is it like that? These standards require disclosure and promulgation of accounts. Participants of the initiative promise to honestly share information on capital and assets of the participating Member States. Keyword – is “honestly”. It means, fully, without reticence. Thus, journalists would not look for presidential offshore, tax service of Panama would automatically send the relevant information to Ukrainian authorities. Ukrainian owners of those assets should frankly note all these things in their declaration. Especially it comes abut PEPs. However, alas, current President of Ukraine mentally is – “Papa”, but not the “PEP”. He loves power and money. He does not like responsibility and transparency. Unfortunately, it is not his personal problem. It is a problem of the country. In fact, western politicians also want to be “Papas” rather than “PEPs”. However, society in the developed countries is insured against it, including through the mechanisms of transparency insurance. Developed state will not allow his “PEP” to become “Papa”. It means inequality – hence, it comes about corruption and degradation of national economy. A country, which is headed by “Papa”, will never be the Silicon Valley. It will not build the Large Hadron Collider. There is only one reason for it. You can earn more money via the corruption rather than via technologies. The country of the «Papa» will not attract investments sue to the fact that there is no civilized market. Japanese car producers build their plants in USA in order to compete with local corporations. However, they do not build plants in Ukraine, where the price of the cars is regulated not by the demand and supply, but by the discrimination via protective tariff. A strong state does not put pressure on business. In successful and powerful state capital and assets are not withdrawn to foreign subsidiaries because strong state protects property owner’s rights.